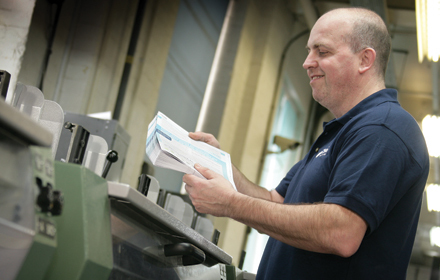 Because we offer printing and mailing services under one roof, we can save time, money (and the environment), by avoiding sending printed jobs to an outside mailing house. We can polywrap your job to achieve a lighter weight than envelopes, which saves on postage. Polywrapped mail packs have the advantage of additional marketing by way of the carrier sheet displaying additional messages you may want to send to your customers this also has the advantage of a lighter pack weight, this will reduce the cost of postage.